Just yesterday we had shown you spy pictures of the forthcoming Nissan Evalia and here we have exclusive set of pictures sent to us by our reader Rohit Choudhari of the same car. Rohit caught this Nissan Evalia near Automotive Research Association of India (ARAI) in Pune a few days back. 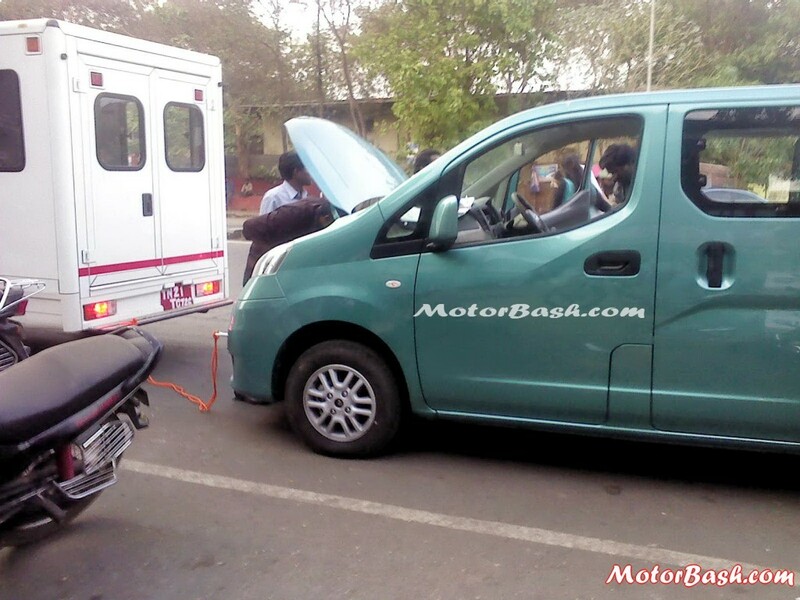 This NV200 or Nissan Evalia broke down near ARAI, Pune and there was a towing vehicle which was about to tow it away while the technicians try to repair the car. 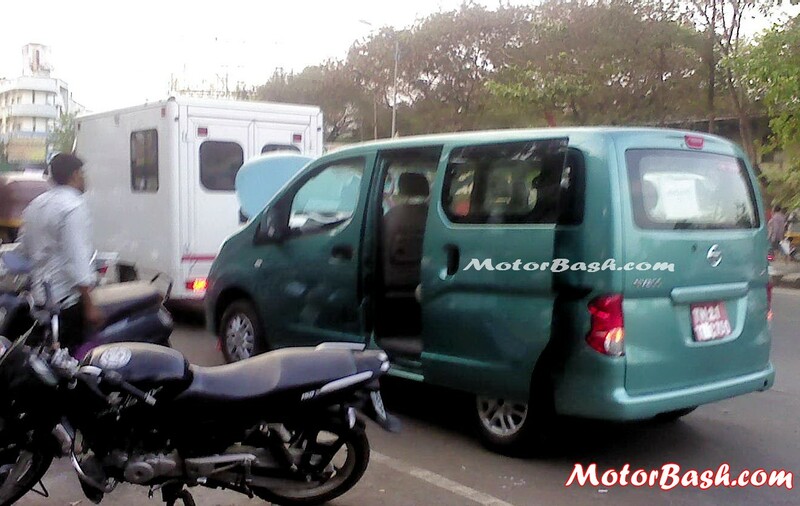 The MPV does look big and according to Rohit Evalia looks as big as Innova. While the Maruti Ertiga looks more of a car this Evalia has more boxy ‘van’ type looks. Rear is minimally done without any stylish contours thrown in. Due to its higher stance ingress and egress might be easier. Read our another scoop article on Nissan Evalia 7 Seater MPV Spy Pics for more information and other pics. If you can spot anything else, do leave that in the comments section below.